Don't only depend on Google Search for articles on homeopathy. Go to the original sources instead. This is a work in progress. If you know of a good resource that has not yet been listed here, please post the URL in the comment section. Your name can remain anonymous. The California Homeopath Journal of the California Homeopathic Society. This PAGE is the result of an article search for topics about homeopathy in the popular UK magazine What Doctors Don't Tell You. Don't miss spending time on this page of videos about homeopathy on YouTube. Thank you Dr. Nancy Malik! 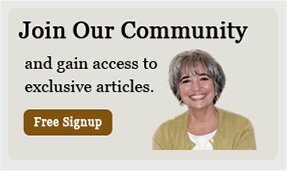 Sign up for a free subscription to the Science Based Homeopathy quarterly newsletter. Click on the image below to be a part of Joette Calabrese's community. Qualifiers? She's a Mom and an experienced homeopath! You don't need to fear the technical side of homeopathy. The blog of homeopath John Benneth is a valuable resource. You'll laugh AND learn. Promise. The National Center for Complimentary and Integrative Health. Resources for health care providers page. Want to start another habit, a good one? Start tuning in to the Healing Times Radio broadcasts.